Age 88 of Morris, formerly Pittsburgh, Pennsylvania, passed away Friday January 18, 2019 at Park Pointe Healthcare and Rehabilitation Center in Morris. Born March 26, 1930 in Morris, Althea Ruth was a daughter of Clarence and Edna (nee Thorsen) Dix. She was raised and educated in Morris, and graduated from Morris High School with the Class of 1948. After high school, Ruth worked for Weitz Café in Morris as a waitress and married George Michael Lambros. In 1976, they relocated to Pittsburgh and Ruth gained employment at Hallmark as a retail clerk, where she worked for 25 years until she retired. She eventually moved back to Morris to be closer to family. Ruth was a member of a ladies bridge club, enjoyed going bowling at Echo Lanes, and was an avid Chicago Cubs fan who looked forward to watching them play, especially against George's favorite team, the Cincinnati Reds. She liked to crochet and knit but will be remembered most for her collecting of Hallmark novelties. Ruth loved to purchase and give Hallmark gifts to many people, especially her children and grandchildren. 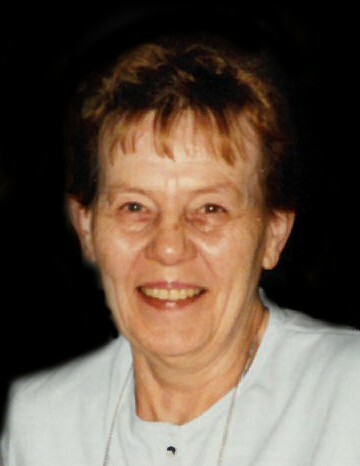 She was a wonderful homemaker who loved her children, grandchildren and great grandchildren dearly. Survivors include her four children: Rod (Kathy) Lambros of Morris, Shirley Lambros of Morris, Michael "Mick" Lambros of Pittsburgh, Pennsylvania, and Mark (Karen) Lambros of Kennesaw, Georgia; eight grandchildren: Jake Lambros, Katy (Ben) Samples, Zack Lambros, Amanda McCloskey, Candace (Michael) Thornhill, Mark (Ashley) Lambros, Michael (Phoebe) Lambros and Nicholas Lambros; ten great grandchildren; one sister: Delores Johnson of Lisbon; one sister-in-law: Shirley Dix of Morris, and numerous nieces and nephews. Ruth was preceded in death by her parents; her husband George on May 8, 2009; one brother: Donald Dix, and one sister: Mary Frederick. The family would like to express their sincere gratitude to the wonderful, exceptionally caring staff at Park Pointe Healthcare and Rehabilitation Center and Joliet Area Community Hospice. They were humbly blessed by their gracious attitude and dedication to their service and skills. It was deeply appreciated. Visitation and video tribute will be Tuesday January 22, 2019 at Reeves Funeral Home, 408 East Washington Street (one block East of IL Route 47), in Morris from 4:00 p.m. until 7:00 p.m. Private interment will be in Evergreen Cemetery in Morris, where Ruth will be laid to rest with her husband. In lieu of flowers, memorials may be made in Ruth's memory to: Lurie Children's Hospital or Joliet Area Community Hospice.